Sold as a set of two. 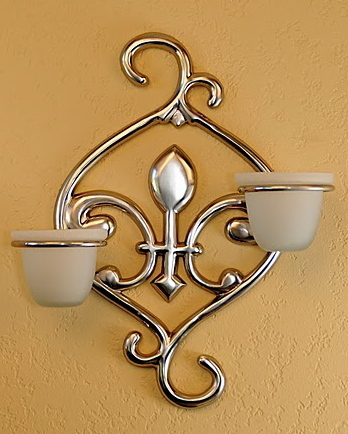 These look beautiful in our HT6600P Fleur de Lis wall sconce, but will fit votive rings of similar dimesnsions. 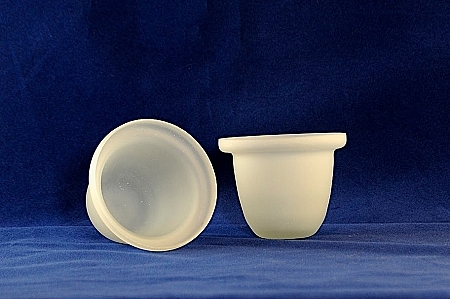 This set of two frosted votive cups are the replacement glass for our Fleur de Lis wall sconce. The cups measure 3 inches deep, and have a top opening diameter of 3 1/2 inches. Below the hanging lip of the glass, the opening measures 2 3/4 inches in diameter at the top, and tapers down to 2 inches at the bottom of the cup. Sold as a set of two. Please do note that all of our glass products are blown glass, therefore, they may vary slightly from batch to batch. Imperfections will be present, and are considered normal.